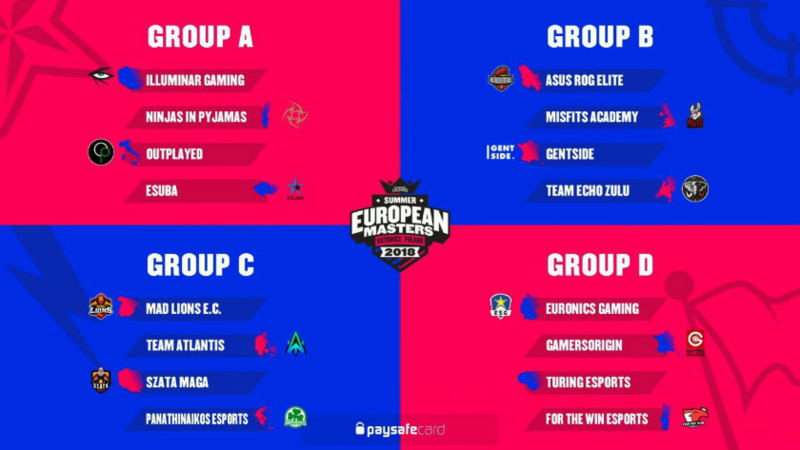 The European Masters is back for a second edition gathering the best teams from all Riot Games European regional leagues. The first matches were already played with the Play-In phase, where three more teams qualified for the main event. This video shows how this European Masters split works exactly, considering that the formula has evolved from the Spring split. GamersOrigin will enter the competition on September 17th. Split into four groups of four, the participating teams have to finish first or second of their group to qualify for the knockout stage. The semifinals and the final will be played in Katowice, Poland. GO is part of the favourites, alongside with MAD Lions, where Crownshot serves as ADC. The Slovenian is known by French scene-lovers since he has played for LDLC for more than a year and he won the SuperLiga Orange with MAD Lions this year. Misfits Academy won the British championship with Chrisberg, the GO former AD Carry, and it is part of the favourites too. It is the same for Team Atlantis, winner of the Nordic championship and for Euronics Gaming, from the Germany-Austria-Switzerland region. Gentside, qualified thanks to the Play-In, is a tough opponent too. Last season, we finished first of our group with 3 victories in 3 games. Then, we overcame the British team exceL eSport in the quarterfinal. Unfortunately, we lost 0-2 to the Polish team Illuminar Gaming in the semifinal, despite that we had beaten them in the group stage. This season, GO is in group D with Euronics Gaming, For the Win and Turing Esport. I am feeling great and really confident about the tournament. We had some changes in the team and I am really happy about it. The recent arrival of Candyfloss helped us a lot to correct the bad habits we had. Our objectives are obviously doing better than the previous EM by winning the tournament. I am not really scared of anyone, I respect MAD Lions and I am really excited to face them. I think we improved a lot over the year. I feel like as a person I grew up and gained a lot of experience. I’m ready to get a second MVP title (laughs). Last year Top 4 was a notable result for us, however, this year goal is to do our very best to represent France by winning this competition. Strengthened by HustlinBeast‘s arrival as our new Support, Candyfloss’ joining as the coach and with the support of Société Générale, GamersOrigin players are determined to transcend their limits during the European Masters Summer 2018 #GOWIN.